Starting November 30, families, couples and solo adventurers can choose from four different Club Med ‘boutique village’ concepts and be the first to explore Miches in the Dominican Republic. 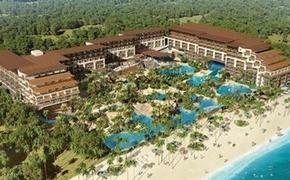 Club Med Michès Playa Esmeralda, the $100 million hospitality project representing the company’s first-ever Exclusive Collection resort in the Americas, will welcome its first guests on Nov. 30, 2019. The 93-acre resort features a first-of-its-kind concept with uniquely designed architecture that seamlessly blends four boutique villages to form one upscale resort. This concept will allow guests to have the ultimate personalized experience for a customizable all-inclusive vacation, whether they are traveling with their family, significant other or by themselves. 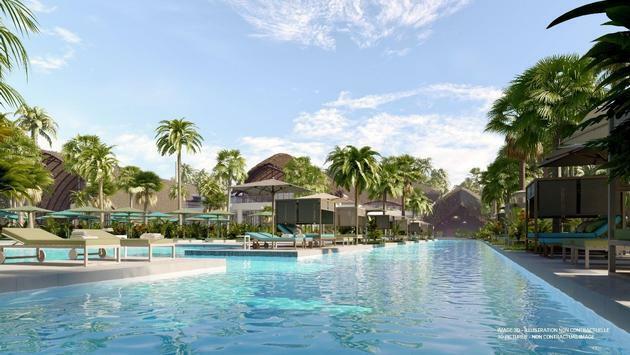 Recently, Club Med – the pioneer of the all-inclusive concept that revolutionized the travel industry – unveiled details about the resort’s eco-chic and environment-friendly concept and the groundbreaking event at the resort's future site. The destination itself is the key factor influencing every element of this project. Once opened, Club Med will be the very first operating resort in Miches, an untouched region in the Dominican Republic, approximately 75 minutes north of Punta Cana (home to Club Med Punta Cana, which was also the first resort to open in this area in 1978). Due to being the first, the resort holds the most pristine oceanfront location, offering guests a 2,000-foot-long beach area. - Caribbean Paradise: A village for every type of traveller – the alluring heart of the resort, full of lush tropical gardens and colorful surprises. Caribbean Paradise is home to 111 rooms, features a vivid and lively Caribbean ambiance, and is located at the heart of the village (within close proximity to the main pool and the beach lounge). This village features two room types: Deluxe Rooms and Ocean View Junior Suites. - Explorer Cove: A village dedicated for multi-generational families - an adventurous getaway offering families a treasure trove of activities. Explorer Cove provides 158 family accommodations with large rooms, a playful atmosphere, and is close to the children’s clubs and sports facilities. This village features four room types: La Perla suites, Ocean View Family Junior Suites, Deluxe Family Rooms, and Deluxe Rooms. - La Perla: An exclusive area featuring 16 oceanfront family suites and four oceanfront penthouse family suites with a rooftop terrace. This area provides special access to its own private family pool, family bar and beach cabanas. - Emerald Jungle: An adult-exclusive village for wellness seekers - an eco-chic retreat within lush Dominican palm groves where peace and wellness await. Emerald Jungle nestles 48 deluxe rooms and is part of Club Med’s Zen Oasis concept. The area creates a calm and peaceful atmosphere, close to the Zen pool, fitness facilities, spa and the wellness bar. - Archipelago: An adult-exclusive village for romantics – an oceanfront sanctuary designed for those searching for the ultimate touch of exclusivity. Archipelago is an area only accessible to those who stay in the boutique village, featuring 18 oceanfront suites, each with their own private pool. Guests who stay in this area also benefit from an outdoor shower, a direct infinity view from the bedroom, exclusive access to a private section of the beach and a calm and intimate atmosphere. Club Med Michès Playa Esmeralda will provide guests with various all-inclusive food and beverage options, including three distinct culinary experiences, one beach lounge, four bars, three wine cellars and a coffee shop. Club Med’s all-inclusive concept is highly regarded for being one of the most robust programs in the industry, inclusive of various amenities, and land and water sports. At Club Med Michès Playa Esmeralda, guests will be able to enjoy more than 25 different sports and activities, including fitness classes, tennis, pickleball, archery, indoor climbing, circus activities (including the flying trapeze), kayaking (including see-through models), snorkeling, aqua fitness, team sports, dance classes, a guided running trail and various yoga classes. The wellness program at the resort includes a scenic treetop yoga palapa and oceanfront platform, meditation classes and five different types of yoga classes: family yoga, gravity yoga, acro-yoga, aqua yoga and paddle yoga. The resort will host six distinct iconic active experiences that are a must-try: JetSurf (electric surfboarding), Hobie Eclipse (a stand-up pedal board), treetop yoga class, family paddleboarding, a fitness trail and horseback riding on the beach. After an active day, guests can book a self-pampering experience at the Cinq Mondes spa. The luxury spa will feature single and double treatment rooms, reflexology and relaxation areas, hydrotherapy treatments, hot and cold plunge baths, steam room, sauna and a beauty salon. As the resort holds two boutique villages designed for families of all types, the resort will offer family programming. The full range of children’s clubs includes Baby Club Med (4 months to 23 months), Petit Club Med (2 years to 3 years), Mini Club Med (4 years to 10 years) and Club Med Passworld (11 years to 17 years). The resort will also offer Pyjama Club, a babysitting service for those moments when parents want to have their own date night. For additional fun, the resort will be equipped with a children’s playhouse, gardening activities, water games, a children’s zip line and ropes course, and sports activities for parents and children to participate in together. For those seeking to explore the undiscovered region of Miches, the resort offers a robust excursions program. Excursions will allow guests to explore places like Laguna Limón, a stunning nature reserve; the 170-foot-high cascading Limón waterfall; Samaná Bay, a bay featuring protected islands with native flora, wildlife and a known site for whale watching; and Montaña Redonda, a “rounded mountain” with 360-degree panoramic views of the surrounding flourishing landscape, known for its photo-famous swing. Reservations are now open. For bookings and more information, visit www.clubmed.ca/miches.